Is it time to service your Avondale Estates furnace again??? As autumn approaches, it's time for stew, and crisp, cool air and yes, servicing your furnace! R Fulton Improvements can make sure your Avondale Estates furnace is serviced in preparation for the upcoming winter months. Before that first cold snap hits, it is important to ensure that your furnace is working properly. Keep your family and your home safe this winter. Call R Fulton Improvements at (678) 251-9181 for Avondale Estates Georgia furnace maintenance! Over 20 years of providing residents and businesses in Avondale Estates with furnace maintenance & service that is second to none! Regardless of the type of heating system you have, R Fulton Improvements can probably service it for. We've been maintaining Avondale Estates furnaces in great working order since 2011. 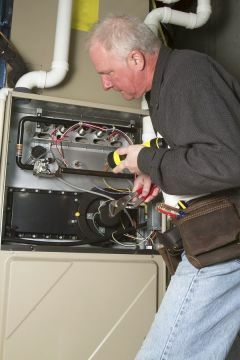 Whether the services are for a residence or your require commercial furnace service in Avondale Estates, R Fulton Improvements not only has the expertise, but the manpower and state of the art equipment to ensure your furnace is in good working condition to carry you through the winter season. Call (678) 251-9181 for your Avondale Estates furnace maintenance today.